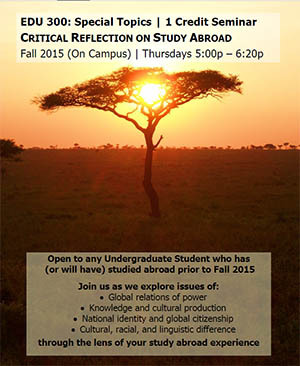 For many students, their semester or year abroad is a life-changing experience. A new course in the School of Education is exploring how this experience affects the world view of students who have returned from their study abroad experience. through the lens of the study abroad experience.